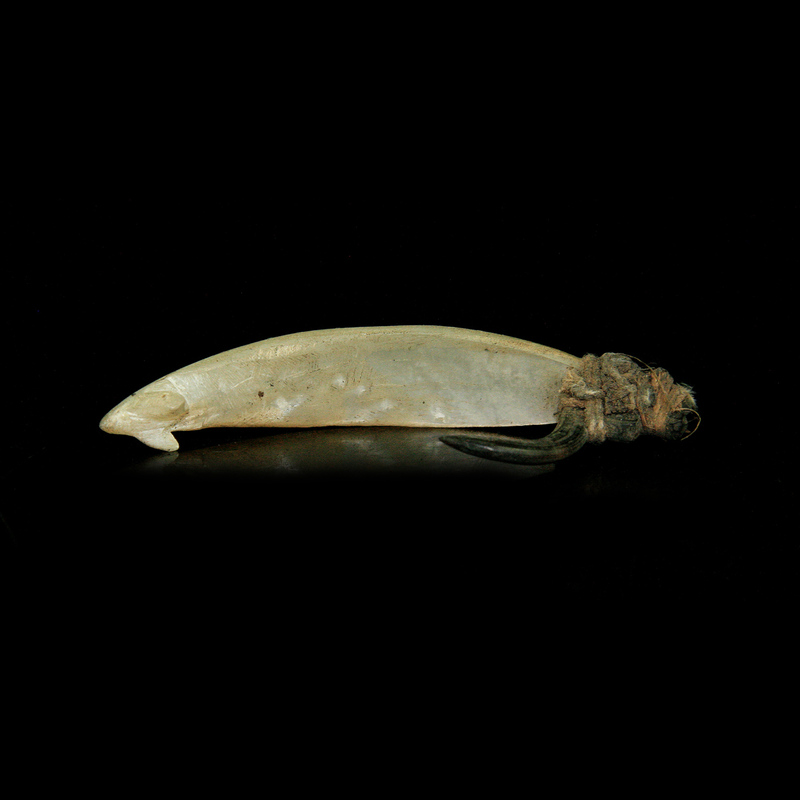 ﻿ Tribal Art : fish hook shell, turtle shell, glass (beads), fibre, Solomon Island. 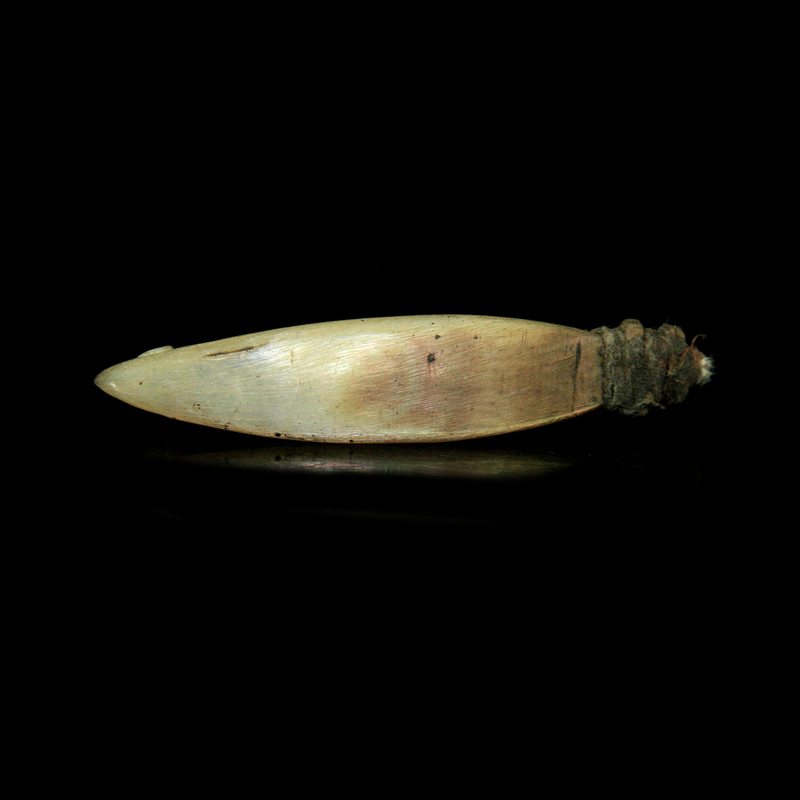 fish hook shell, turtle shell, glass (beads), fibre, Solomon Island. 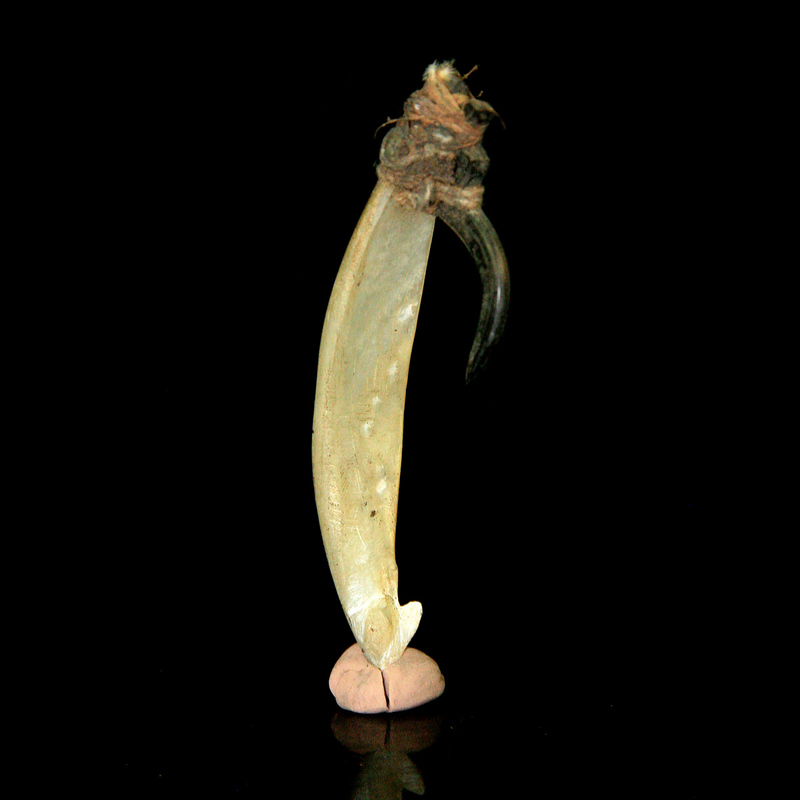 Hook carved from tertoise shell attached to a cut section of sell, with fibre cord.